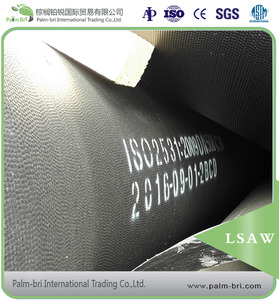 1) ductile iron pipe k9, according to iso2531 or en545, push in type joint class k9, 2) outside zinc coating and then bitumen coating according to ISO8179 3) inside cement mortar lining according to ISO4179 4) 100% SBR rubber gaskets accoding to ISO4633 5) can be loaded both by bulk vessel and full containers, this is according to customers' request 6) we can do third party inspection according to customer's request 7) Our documents can be legalized by the embassy. 8) we have got ISO9001 and BV product confirmity certificate for EN545 and EN598 and EN1024 and SGS product confirmity certificate 9) Our products have been sold to many international market, such as Middle East and South East Asia and Africa. 10) Our brand is SDS,but we can also make the brand according to customer's request. Ductile Iron Pipes offer unsurpassed benefits for applications in water supply, sewerage and gas mains by their reputation by actual performance! 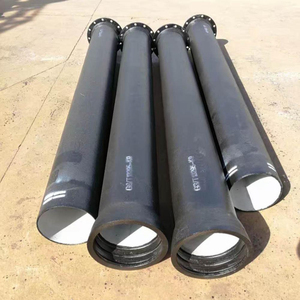 Ductile iron flanged pipe with puddle flange-SYI Group - Design Flexibility: Pipes will safely function over a wide range of operating pressure, trench loads and installation conditions. - Easier Handling: Ductile Iron Pipes can be more easily manoeuvered under and around existing underground obstructions, thereby eliminating unnecessary changes in line or grade. ductile iron flanged pipe is welded on or casted on,We manufacture weld on flanged pipe K9 or K12 according to BS EN545 or ISO2531. Quality Control Mechanical Properties Testing Chemical Component Analysis Hydraulic pressure Test Rubber Gasket EPDM / SBR / NBR (EN681-1, ISO4633) Certification BSI, SGS, BV, TUV, WRAS . Production Facility Packing & Delivery Product Application SYI regards quality as an essential and integral part of our business success. Until now, we are ISO 9001:2008 , TUV certified, BSI Kitemarked, SGS certified, UL listed, FM certified, NF certified and CE certified. Remarks: Double flaned pipe can be produced with any length. Coating: Bitumen coating and epoxy coating. 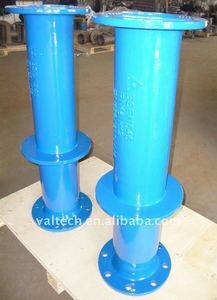 Our product range is DN80~DN1600. Special requirements on external coating and internal lining can be applied. 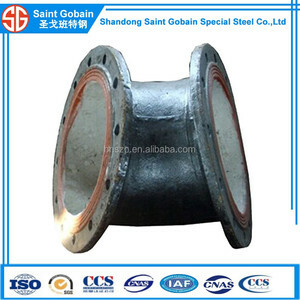 Our product range is DN80~DN2200. Special requirements on external coating and internal lining can be applied. 3- Something more: We'd like to guarantee a timely quotation service and competitive prices on the market. Alibaba.com offers 697 puddle pipe products. About 26% of these are pipe fittings, 6% are iron pipes, and 1% are steel pipes. 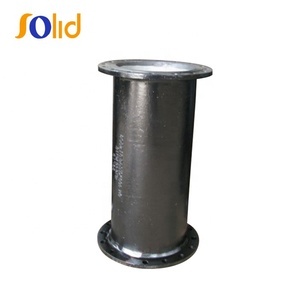 A wide variety of puddle pipe options are available to you, such as round, square. 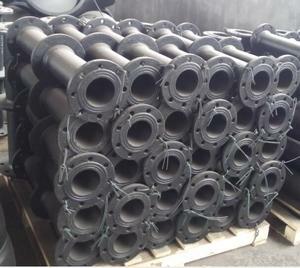 You can also choose from ductile iron, cast iron. As well as from seamless, welded. And whether puddle pipe is free samples, or paid samples. 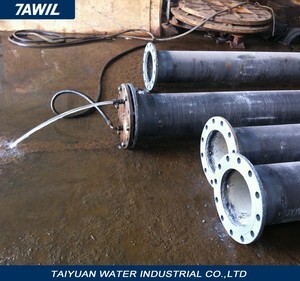 There are 611 puddle pipe suppliers, mainly located in Asia. 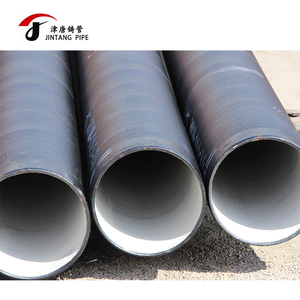 The top supplying countries are China (Mainland), India, and Egypt, which supply 96%, 1%, and 1% of puddle pipe respectively. 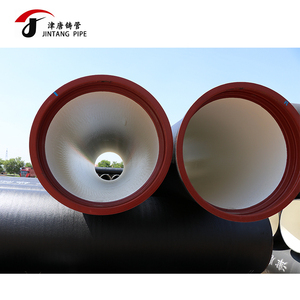 Puddle pipe products are most popular in Mid East, Western Europe, and Africa. You can ensure product safety by selecting from certified suppliers, including 358 with ISO9001, 133 with Other, and 61 with ISO14001 certification.